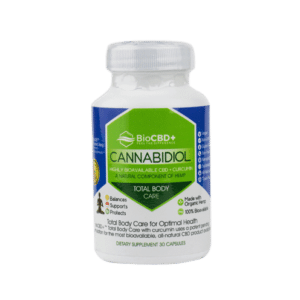 Browse our range of premium CBD products from BioCBD+, one of the most trustworthy CBD brands on the market today. Backed by over 30 years of scientific research and development, BioCBD+ uses only the safest, most high-quality and all-natural ingredients to produce leading topical and oral supplements. 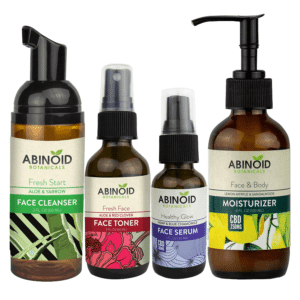 As a company, they are committed to sustainability, holistic health education, and providing affordable, scientifically advanced products to everyone in need. They use a proprietary all-natural blend of CBD and Ayurvedic herbs to produce the most bioavailable (that is, the proportion of the substance that enters the circulation and has an active effect) source of CBD available today. BioCBD+ uses sustainable, organically grown industrial hemp from Scandinavia. They never use artificial coloring or flavoring, and their products are free of nuts, soy, GMOs, solvents, and binding solutions. In fact, they produce the only all-natural, water-soluble CBD made without the use of glycerides or solvents. In short, the BioCBD+ logo is one you can trust. Everything they do and everything they produce is backed by science and done so with sustainability and quality in mind. Take, for instance, their Total Body Care CBD & Curcumin Capsules. These premium hemp tablets offer a quick, easy, and effective way of enjoying a potent and high-quality serving of 10 milligrams of CBD each and every day. Rich in CBD, these capsules contain only the most natural ingredients, including a proprietary blend of high-grade organic hemp oil. The tablets are water-soluble and vegetarian-friendly. 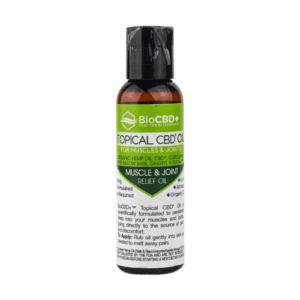 If you’re in the market for muscle and joint relief, their premium topical CBD oil could be just what you’re looking for. A small amount twice a day could help you feel refreshed and moisturized, while also providing the natural benefits of CBD, curcumin, white willow bark, and eucalyptus. Remember: If you are lactating, pregnant, or suffering from a serious illness, ask your physician before taking any supplements, applying topical oils or ointments, or changing your diet in any significant way. Also, remember to keep your BioCBD+ products in a dry and cool place, out of the reach of children and pets. This attention to detail extends to our carefully curated selection of BioCBD+ topical oils and capsules. It’s incredibly important to us that you feel confident in your next CBD purchase, and if you’re ever unsure about anything related to CBD, our friendly and knowledgeable support team are only a click away. Check out our BioCBD+ cannabidiol products for sale, or get in touch if you have any questions.